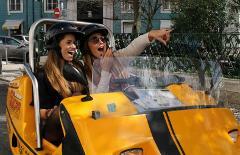 Discover the sights of Lisbon from a new perspective on an amusing 1-hour GPS guided tour! In 2 hours there is a lot to explore in the breathtaking Portuguese capital. Check our different circuit options! 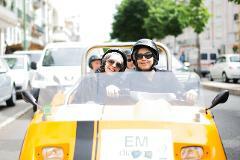 This tour allows you to pick from our different itineraries to make your own 3-hour journey. 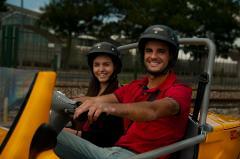 This tour allows you to pick from our different itineraries to make your own 4-hour journey. With this special deal, you get to keep the GoCar all day long, from when we open to when we close our store. 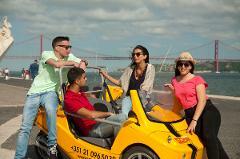 You can have the GoCar for as long as you like, just make sure to bring it back to our shop by 6pm at the latest! This tour will let you keep the GoCar for 1 or 2 hours for only €30,00 just as long as you bring it back to our store by 17h30 at the latest! 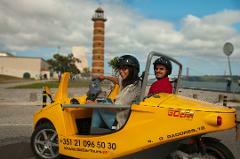 Normally, renting a GoCar for just 1h would cost €35,00.